SecondMarket was set up in 2004 and has since expanded into multibillion dollar trading platform with well over 53,000 registered participants. The exchange offers a bewildering array of securities ranging from public debt instruments to bankruptcy claims and credit derivatives. More recently, Mr Silbert moved his company – conservatively valued at about $200m and generating an annual revenue of about $35m – headlong into the growing Bitcoin craze with the launch of its Bitcoin Investment Trust (BIT). Mr Silbert does not mince words and calls the digital currency “the ultimate winner”. Also, he expects Wall Street investors to pour hundreds of millions – “if not billions” – into Bitcoin within the next three to six months. The optimism is not misplaced. Only six weeks into its existence, the trust has already received $70m in deposits whereas success had initially been defined as capturing $10m by year’s end. The value of shares in BIT fluctuates according to the highly volatile Bitcoin exchange rate. Investors are in for a rocky ride: In the first week of February Bitcoin slumped from a high of about $1,200 to a low of barely $650 after Apple decided to pull a popular Bitcoin wallet app from its on-line store, apparently over legal concerns. Mining exotic financial opportunities such as Bitcoin is precisely what Mr Silbert thrives on. Nothing seems too bizarre or risky not to take a shot at. This should come as no surprise since Mr Silbert got his first taste of trading at the tender age of 13 with that quintessential of American investments – the baseball card. The dollars thus accumulated, plus his bar mitzvah money, got him started trading stocks. A financial innovator par excellence, Mr Silbert has gathered an impressive number of accolades: Ernst & Young named him Entrepreneur of the Year (2009) as did Crain’s New York Business. In 2011, the World Economic Forum awarded SecondMarket its coveted Technology Pioneer of the Year prize. 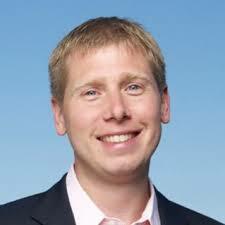 Barry Silbert’s name also features on Fortune Magazine’s prestigious 40 Under 40 list of most successful young entrepreneurs.